medicare Archives - SMART Management, Inc. If you are a SMART customer you need to know. 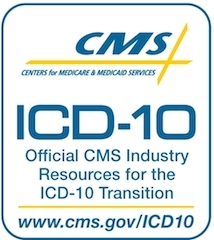 It was recently announced that the required transition from ICD-9 to ICD-10-CM/PCS (International Classification of Diseases, 10th Edition, Clinical Modification /Procedure Coding System) has been delayed until October 2015. Learn while you wait! Signup today for ICD-10 coding basics on Wednesday, June 4, at 1:30-3pm ET. The Medicare Learning Network will host an ICD-10 Coding Basics National Provider Call. Visit MLN Connects™ Upcoming Calls to register. Who does this transition effect? 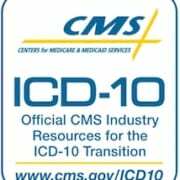 ICD-10 is code sets that are used to report medical diagnoses and inpatient procedures. This is a requirement that is applicable to every organization that is covered by HIPAA (Health Insurance Portability Accountability Act). Organizations that are covered by HIPAA include healthcare providers that conduct certain transactions in electronic form. Some of the affected includes Behavioral Health Organizations, some government organizations and outpatient substance abuse treatment facilities. For those for whom DMS-V is applicable, an official announcement has yet to be made about how this postponement might affect the DSM-V change that was scheduled to coincide with the ICD-10 transition, originally scheduled for Oct 1, 2014. SMART will release further information as it is made available. Now that the transition deadline has been extended 1-year all applicable providers have an opportunity to more thoroughly prepare their plan moving forward. One good place to start is by visiting the AMA (American Medical Association) website for a list of guidelines for getting started and how to move fluidly through the process.